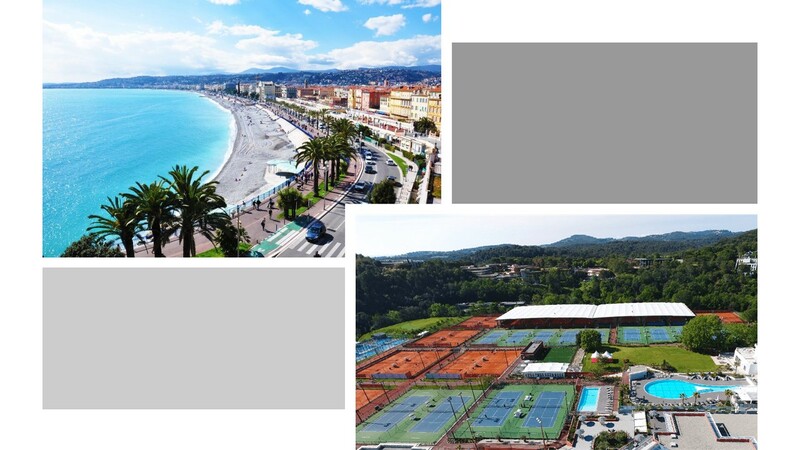 The 7-day Nice Tour with a highlighted 4-days 3 night stop at the Mouratoglou Academy beginning September 15th – 22nd, 2018. Featuring a stop at the Beachcomber French Riviera Resort and Spa. You will embark upon your very own private tennis tournament, with bragging rights going to the best male and female tournament winners to grace the grounds of the Mouratoglou Academy. For all the Golf lovers we have not forgotten about you…The fun continues as you will scurry over to the Royal Mougins Golf Resort in the Cannes region of Nice for the remainder of your stay. Here you will tee off on the greens, with the golf tournament and brunch session, again with bragging rights for the Bagger Vance Trophy and bragging rights for the Best Cannes male and female golf winners. You will also get to explore the hidden gems of Nice, scrutinize popular landmarks, Gorgeous beaches and the wonders of Nice. Then you will end with an astounding farewell party to commemorate 7 days of bliss in Nice’s 300 days of sunshine. Remember what happens in Nice stays in Nice! ***Please note that pricing includes Tennis OR Golf Activities. If you wish to participate in both… there is an additional charge. ** Pricing are for standard rooms additional rates apply for suites.